Currently we’re in the process of ‘burn-in’ testing our Sentinel-50w street lights with the latest SMART connected controllers. Burn-in testing procedures are designed to test components by commissioning the units within our testing facility to run for an extended period of time to detect any potential problems. Burn-in testing is conducted to ensure that our lighting systems functions properly before they are deployed in the field. 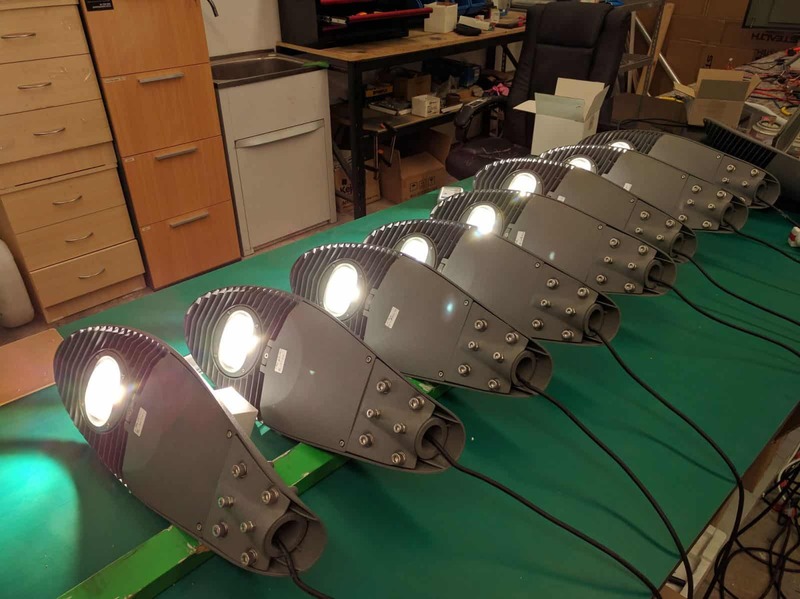 This rigorous development and testing is just one more reason why Green Frog Systems design some of the most reliable lighting systems available. A burn-in testing phase can ensure that new components and equipment are functioning correctly, for example running in a new computer or server for several days before committing it to use. The idea is that if any of the individual components within the system are defective or unable to perform as required the problem will usually occur within the initial testing time frame. The burn-in testing process allows for us to gather some extra data on the lighting system too. Things such as ambient temperatures, average operational temperature and potential environmental variables can be identified and documented for future reference. Green Frog Systems is a pioneering company focused on advancements in solar lighting technologies. We develop world class solar lighting solutions for some of the most extreme environments on Earth. Our Innovation makes us one of the leading product design facilities in the world pioneering and manufacturing a range of products specifically designed to meet the demand for higher quality solar lighting solutions. If Solar is Green, and Green is the new black then we are on trend and on track to fully utilising this renewable resource and helping councils and government reduce their environmental footprint along with their energy costs. Green Frog Systems realised that any device, appliance or machine that consumes a service (gas, electricity or water) can have considerable ROI (return on investment) by evaluating its consumption, and then looking at what options you have to reduce that consumption. We are all about enhancing the overall user experience. from installation to commissioning the lighting products we design, we want to be sure that when you choose a Green Frog Systems lighting product, you’ve selected the best of it’s kind. The future of our products is going to be ‘Modular’ design. extra panel, no problem, longer outrigger, more battery storage, again; can do. Stay tuned for updates as these products are designed, developed and tested right here in South Australia.